I had a hard time finding a way to write a good intro for this month BotM, because how do you introduce a band that only had one common member to all of its line up? Well, I’m still not completely sure, but that’s not gonna stop from trying. The band I’m talking about is none other than Visions of Atlantis. (Well, since you surely read the title first, you knew it) But hey, let’s learn a bit about this Austrian band together and discover why I nicknamed it “Joss Whedon, the band”. Visions of Atlantis was formed in August 2000 when Werner Fiedler, Thomas Caser, Christian Stani and Chris Kamper decided on a musical project based on the Atlantis’s myth and its secrets. They were then joined by the mezzo-soprano, Nicole Bogner, and start working on there first demo Morning In Atlantis, released the same year. A year later they signed with TTS Media Music/Black Arrow Productions who released their first album, Eternal Endless Infinity in 2002. 2003 saw the first changes in the band line up with Christian Stani replaced by Mario Plank and Chris Kamper replaced by Miro Holly. In 2004, the band sign with Napalm Records which released the band’s second studio effort Cast Away worldwide in November. To mark the release, Visions of Atlantis produced their first official music video to the track Lost. But soon after, Nicole Bogner had to left the band, leaving the band without singer. Therefore, in 2008, the band start looking for a new singer, but also start working on their fourth album. 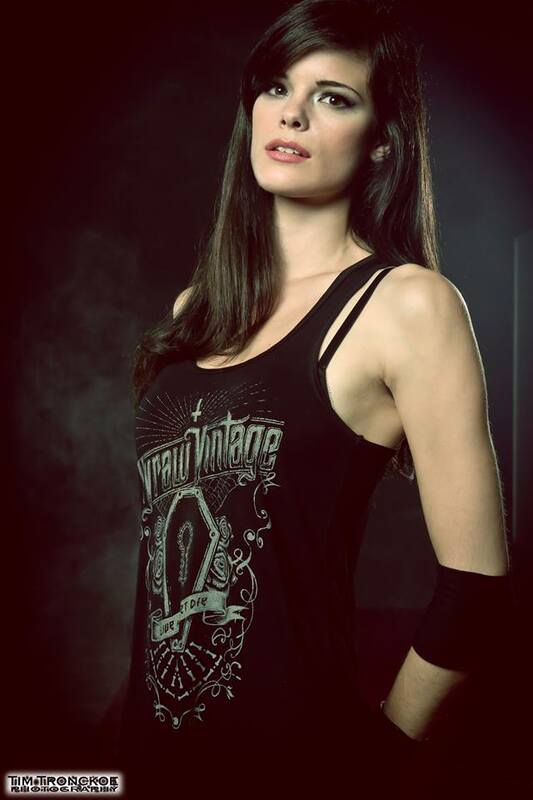 The identity of the new VoA frontwoman wasn’t revealed before February 2009, it would Joanna Nieniewska (Illuminata). Unfortunately, a few month later, she had to quit her post due to health issues, she would no longer sing but would not stop to support the band behind the scene. Then arrived from Greece, the vocalist Maxi Nil (Jades Star, On Thorns I Lay). Finally with a complete line up, the band announced their fourth album Delta (Delta being the fourth letter of the greek alphabet) which was released in February 2011. But once again, the line up changed a few month after when Mario Lochert, quit due to crucial internal differences, and it was said that the band wouldn’t get a new bassist as fixed member. 2012 saw a really sad news for the band as Nicole Bogner, VoA’s first singer, died at the age of 27 after years of fighting against a disease. The band expressed sincere gratitude to Bogner, not only for five years of sharing a musical vision, but also for more than a decade of friendship inside and outside Visions of Atlantis. Without Bogner, the band wouldn't have been born. But 2012 also saw the band announced their fifth album called Ethera which was released in March 2013 with Christian Hermsdörfer as guitarist and with no official bassist. Every Joss Whedon fan know that no happy couple stay together for a long time, and after reading Visions of Atlantis bio, I’m pretty sure Joss is behind the band. Because in December 2013, the band announced that most of the line-up was parting ways with Visions of Atlantis, leaving the only remaining and founding member Thomas Caser on Drums. This decision was mostly because of a desire from the parting members to play their own style of music, whilst the band was orientating to go back to its classic style. Thus, it welcomed back some of its old members : Werner Fiedler (guitars), Chris Kamper (synths), and Michael Koren (Bass). Maxi Nil, was replaced by Clémentine Delauney, and Mario Plank, by Siegfried Samer. But even if I humorously compared Visions of Atlantis to a Joss Whedon show due to the numerous change in the line-up, you’ve got to remember that every of his show were amazing and so is Visions of Atlantis. I didn’t have the chance to see what the new lineup is capable of, yet, but I have a complete trust and know the result will be great. Now I just have to wait for the new “season” of the band.